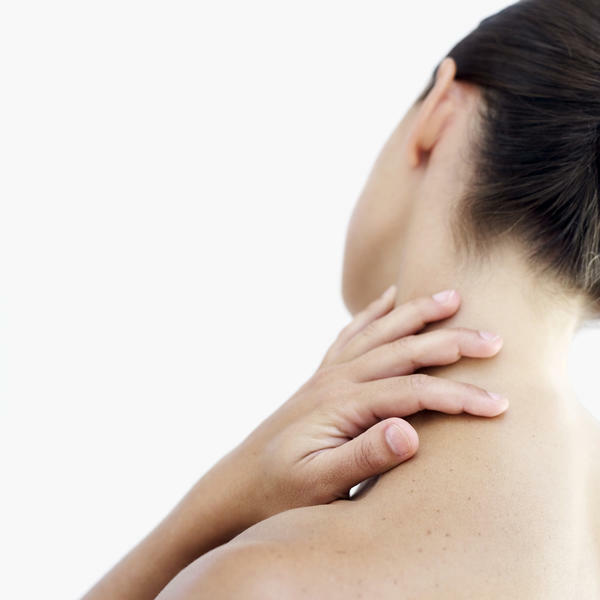 There are many reasons for experiencing pain in the neck. The neck contains seven small vertebra that run from the base of the skull to the middle of the neck. These vertebra support the neck and allow for the head to have a range of motion. However, their location makes them susceptible to injury, including the left side of the neck. Sitting with the neck twisted can damage the neck's vertebra and supportive structure, resulting in pain in neck. This is the most common reason for the neck to hurt. It can be caused by overusing the neck, sleeping in the wrong position and muscle strain. You may feel numbness, an aching pain or the pain may be severe. This is caused by the sudden acceleration and deceleration of the body in a car accident, which can result in damage to the spine. Whiplash injuries can cause pain in left side of neck and along the left arm and shoulder. Along with severe pain, migraines, weakness, back pain and dizziness can also result from a whiplash. Being hit or injured while playing sports can cause the nerve roots to become compressed and cause a stinging, burning or pinching pain in the neck, which can last for several days. A pinched nerve in the neck can be the result of spinal stenosis, bone spurs or a herniated disc. This pain can run down the neck, along the left shoulder and arm causing them to feel numb. Between the bones of the spine are small discs that help cushion the spine. If the protective covering of a disc becomes damaged, then the gelatinous interior can bulge out, which is known as a herniated disc. A herniated disc of the neck can result in severe pain, numbness and a tingling sensation. The numbness can radiate to other areas, including the left arm, shoulder and chest. This is a common joint disorder that is caused by the progress deterioration of the bones, joints and cartilage due to aging. This condition, also known as cervical spondylosis, causes osteophytes, or bone spurs, to form, which can cause narrowing of the spinal column or at the exit of the spinal nerves, affecting joint motion and causing severe pain. Other symptoms include headaches, the inability to move the neck or a grinding sensation during neck movement. There are small neural passages on the left side of the neck, called the foramen, which can become compressed and trap the nerve roots. This can result in severe pain in left side of neck, arms and shoulders and, in some cases, it can cause numbness and limit movement. Spinal stenosis is commonly caused by aging, hereditary, arthritis or by an injury. This is a chronic medical condition that is characterized by tenderness and pain of the muscles, joints, tissues and tendons of the entire body. It can also cause pain centered in the neck and back, along with depression, fatigue and problems sleeping. This condition can be triggered by infections, certain emotional problems, stress and disturbances in sleep patterns. Abbreviated as DISH, it is also known as Fortier's Disease, this condition is caused by the calcification of the ligaments and tendons that run along the cervical spine. Calcification causes them to become stiff and hardens the tissues. This condition mostly affects the middle, or thoracic, and lower, or lumbar, regions of the spine, which can lead to swelling, the loss of range of motion and severe pain in the neck. When you feel pain on the left side of your neck, there are several ways in which you can relieve minor to moderate pain at home. Medications: Taking an over-the-counter medication, such as acetaminophen or ibuprofen, will help provide relief for pain. Take any medications you buy as directed. Walking: In order to help relieve any tension and improve circulation, which will also help provide pain relief, you should take short walks. Begin by walking three to five times a week for about five to 10 minutes. Then you can gradually increase the amount of time you spend on your walks. R.I.C.E: For minor injuries, you can also help reduce the amount of pain you're in by using R.I.C.E. This acronym stands for Rest, Ice, Compression and Elevation. In addition, you can apply a ligament or balm to the injured area that provides a cooling or warming sensation to help mask the pain. If you've been diagnosed with a whiplash injury after a car accident, you should rest as much as you can by lying on your back and use cold or hot packs on your neck. When you are sitting down, improve your posture by using a straight backed chair and sitting with your buttocks all the way back in the chair. You should make an appointment with your doctor if the pain in left side of neck lasts for more than a week. If you are experiencing pain after a fall or accident and have neck pain, you should seek immediate medical attention. Why Do Diabetes Patients Have Pain in Joint?